Asked my dad out for lunch today. 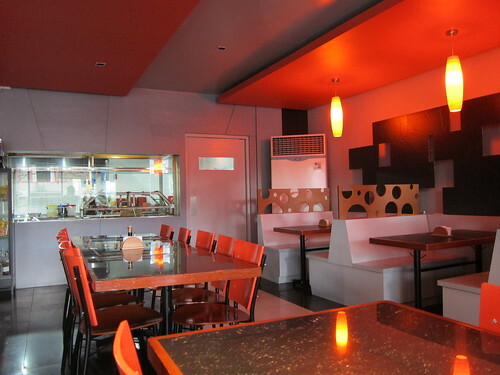 My dad wanted to try out a Filipino restaurant in the area and we chanced upon this restaurant in Scout Rallos – Berting’s Grill. Located in the previous Union Square showroom, Berting’s Grill is open from 11AM to 3AM. The place looked more like a bar and inuman place. It was empty when we arrived but the menu looked promising. The interiors were simple and modern. The rest rooms are clean and nicely designed. Upon the suggestion of the waitress, we tried their Crispy Tadyang, Bulalo Soup and Lechon Manok ni Berting. 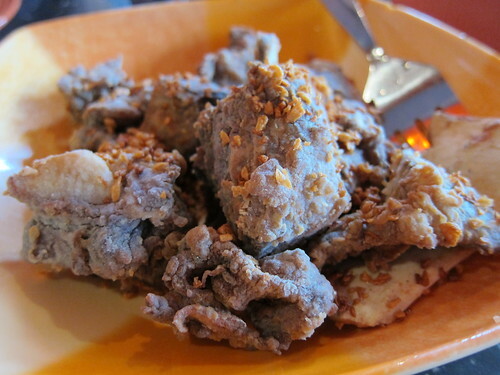 The Crispy Tadyang was smothered in cripsy garlic bits. This dish is a winner. It was cripsy yet the meat was tender and I’m a fan of anything with crispy garlic. 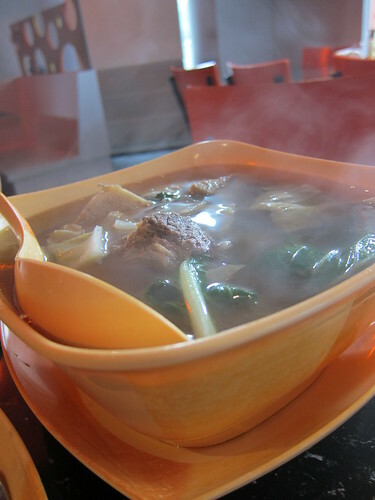 The Bulalo soup was big enough for 4 pax, I think. This is a good soup order. Portions are also generous. 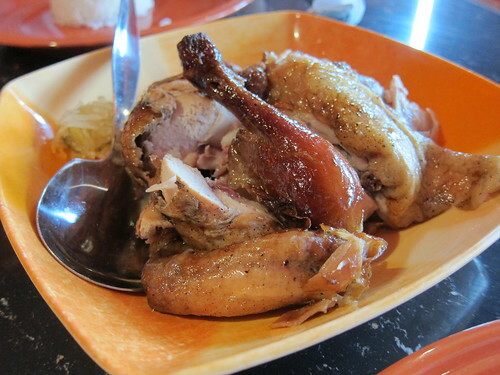 I also liked the Lechon Manok ni Berting. It was juicy and Tender. The sauce though could be heated as it came out very cold when it was served to us. There are a few new restaurants across Berting’s that we’ll definitely try as well when we get a chance.